Did you ever ask yourself what it is like to be an Executive Chef? Did you ever think of the ladder that must be climbed to get there. Of course, I can only speak to my 20 plus years of food and beverage experience. Going through the art of crafting fine fare takes time and patience to say the very least. It is an art form that can only be taught to a degree and then it is in the hands of the individual. 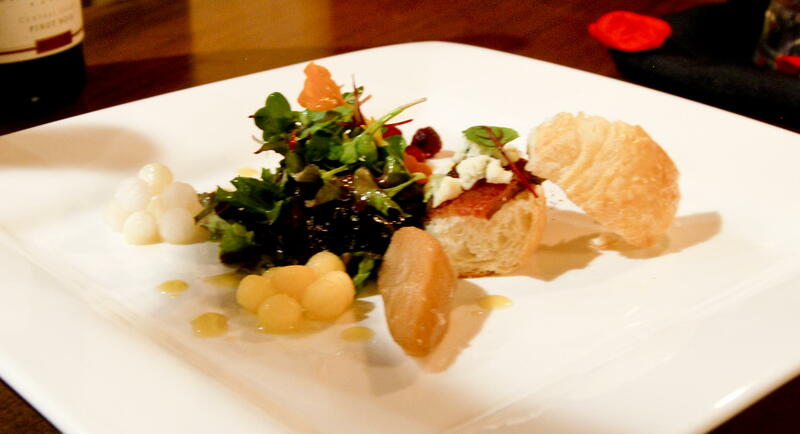 The desire to create, innovate, and forge ahead with new ideas is the essence of an excellent Executive Chef. Not being afraid to try new and divers ideas, plus, learning from your mistakes makes for some of the finest Executive Chefs in the world. If we go back and look at the progression of some Executive Chefs many start out as dishwashers, move on to line cook, then a Sous Chef or Chef de Cuisine and then to an Executive Chef position. Sounds easy and it is simple to type, but don’t be fooled, it is not easy! For this Executive Chef it was an awesome experience to move up the latter. 1 year as a dishwasher, 6 years as a line cook, 3 years as a Sous Chef, 2 years as a Chef de Cuisine, and years as an Executive Chef and Corporate Executive Chef. Very exciting and tons of knowledge learned over the years, but the most important thing was training under various Executive Chefs. This experience is not taught in school and neither is hard work and long hours in a kitchen. Having a culinary arts degree and other education gave the fundamentals of cooking. Culinary school is HIGHLY advisable for anyone who wants to be an Executive Chef or even Sous Chef, in fact it is required for just about any kind of Chef titled position. School and hands on experience make for an outstanding Executive Chef. With that being said, in the end, it is the team that truly makes the difference. An Executive Chef is only as good as his/her team and the great ones know this truth. A truly humble Executive Chef wants to surround himself/herself with the best of the best. An Executive Chef writes the menus, recipes, but more importantly trains the team on each recipe, logistics, and execution. As in any business, the better the team is trained, the better outcome. The position is not just about cooking or writing recipes and menus. This is one facet that many people do not quite grasp. Food cost, labor cost, inventory procedures, procurement, and P & L knowledge are just a few examples of what an Executive Chef needs to know in order to be successful. After all, the property is there to make money. For many cooking becomes the easy part and the previous more of a challenge. Over time the great ones learn how to become a “complete” Chef. Ultimately the Executive Chef must always do what is in the best interest of their property. A solid Executive Chef compliments their property and knows how to use the tools they were taught over the span of their career. Culinary arts is a rewarding but requires hard work to get to the top. That is why respect is given to any one in the culinary arts who makes it to the Executive Chef level. A stellar Executive Chef knows the word BALANCE inside and out……..